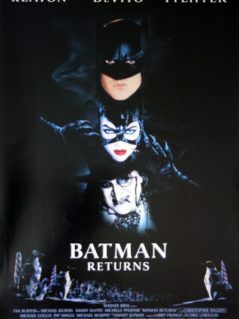 Designed by Intralink Film Graphic Design offered here is a genuine ‘First Advance Teaser’ design, double sided US One Sheet (‘Graffiti style) from the blockbuster movie of 2008, “The Dark Knight”, the incredibly successful sequel to Batman Begins and (for the one & only time) Heath Ledger’s show stopping turn as ‘The Joker’. 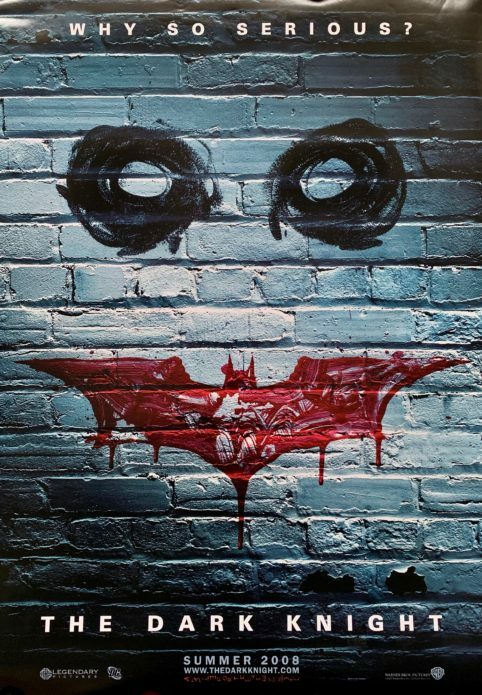 Set against brickwork the imagery shows a ‘graffiti’ design of ‘The Joker’s’ face using a bloodied batarang for the mouth…a very clever poster. The gritty look is perfectly rendered allowing for the central bat logo to draw the eye. 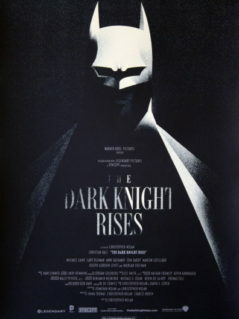 Originally rolled (as issued) this excellent film poster presents and displays to very good effect and represents a truly desirable piece of original Batman movie memorabilia from a trilogy that has become one of the most collectible and popular modern movie franchises. Trivia: The Joker’s mask during the initial bank robbery is almost exactly the same as the mask worn by Cesar Romero when hijacking a performance of Pagliacci in the original Batman(1966) television series. 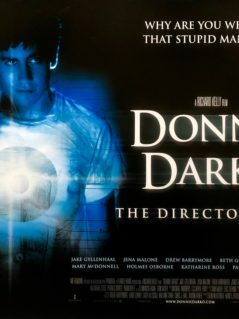 Dark, yes, complex, ambitious. Christopher Nolan and his co-writer Jonathan Nolan deserve a standing ovation. 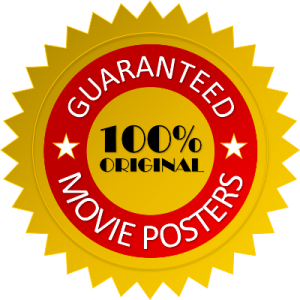 I don’t usually go for loud movies filled with mindless gore and violence. “The Dark Knight“ is certainly loud and violent but it’s not mindless. It has depth and soul. Even the Joker, in an extraordinary creation by Heath Ledger, is deeply human. The natural petulance of Christian Bale makes his ego and alter ego the most fascinating and complex of all film superheroes. 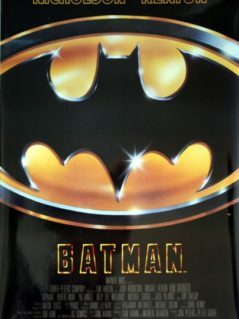 Part of the genius of this movie is that Batman himself, in screen time, is not really the lead. My attention was captivated by Heath Ledger and he determines and inspires the breathtaking atmosphere that envelopes Gotham as well as us. The aplomb of Christopher Nolan as a director is mind blowing and his secret, I believe, is his obvious respect for his audience. What he’s done is to elevate a popular genre into Shakespearean proportions. Bravo !